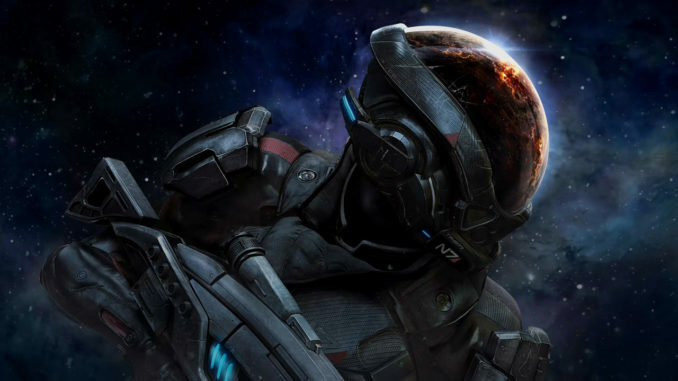 The highly popular sci-fi action RPG series, Mass Effect will release another installment this year. Straying away from the doom and gloom of the previous games, Mass Effect Andromeda is an exciting take on the Mass Effect universe. Personally, I can’t wait to buy this baby online! With that in mind, we have scoured the interwebs to find information on the latest addition to this seminal sci-fi series. Bioware gave us a lot of information since Andromeda’s announcement date. The staff at Samurai Gamers gathered all the important information we can. 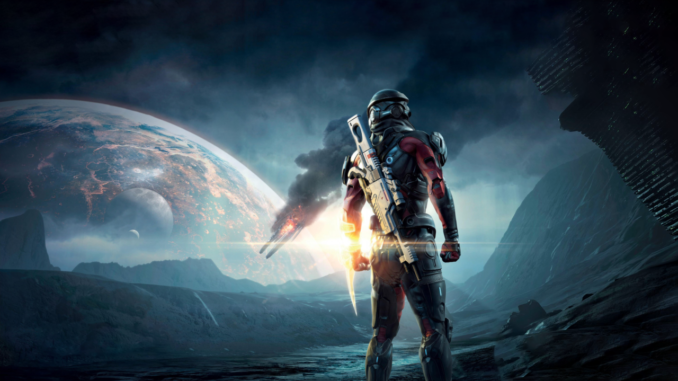 Here’s what we know about Mass Effect: Andromeda. Compared to the original trilogy’s sci-fi doomsday plot, Andromeda follows the adventures of a rag-tag bunch of human explorers led by the Ryder twins, Scott and Sara. These two are inexperienced recruits for the Alliance. Alongside the pair are security expert Liam Kosta, the AI, S.A.M, and their rugged father, Alec Ryder. Furthermore, Lieutenant Cora Harper is a possible love interest for one of the Ryder siblings, as shown in the trailers. Also joining the Tempest Crew is female turian, Vetra Nyx. Vetra is a cunning, street-smart turian. The team wouldn’t be complete without Peebee. She is an adventurous loner. Enthralled by alien technology, she has an inquisitive spirit. However, unlike her fellow Asari, Peebee, is quite bold and brash. Peebee’s role in the story is to help Ryder know more about alien technology. Expect these characters to stray from the badasses of the first three Mass Effects. However, this doesn’t bar our main protagonists from being likeable characters. Every space adventure needs a gorgeous ship to carry our protagonists through the void. In Mass Effect: Andromeda, you will be in possession of the stealth ship, Tempest. She isn’t bogged down by any main gun or what not, and requires no refueling. Therefore, she will be an excellent ride throughout the Andromeda galaxy. The Tempest can travel faster than light, covering 13 lightyears per day. The Tempest hosts a variety of facilities, including two labs, an engineering bay, an armory, a medbay, and the like. The Mass Effect Trilogy is known for their sympathetic alien races. This fourth installment introduces new alien species. The first is a formidable foe called the Kett. A far cry from the very slender appearance of most alien races, the Kett are quite zerg-like in form. 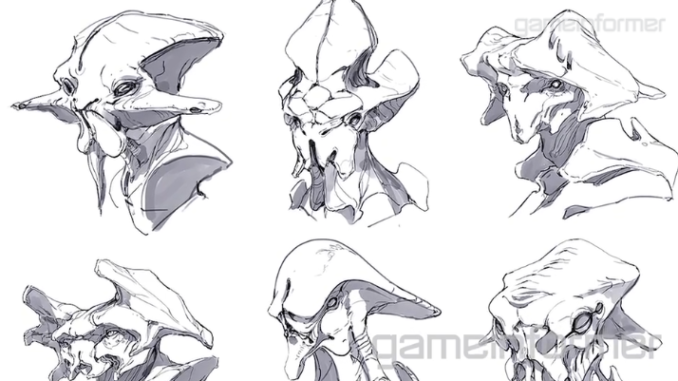 That is, they are an alien race that is very organic in design, rather than the slender, sleek art style we’ve seen in the previous games. Another humanoid race is the Angara. A squid-like humanoid species (much like the Asari,) the Angara are a more hospitable race found in the Andromeda Galaxy. The previous Mass Effect games were rife with a neverending tension due to the incoming doom of the Reapers. 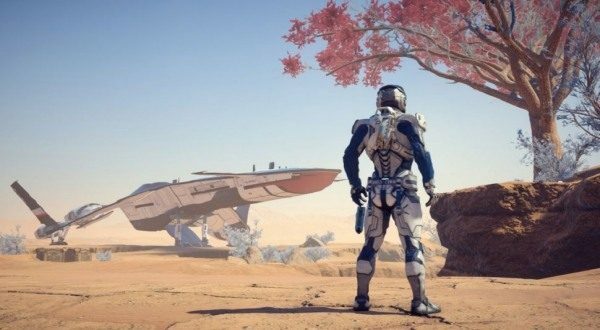 However, the game developers of Andromeda have decided to lighten the stakes, as it were, compared to the previous games. 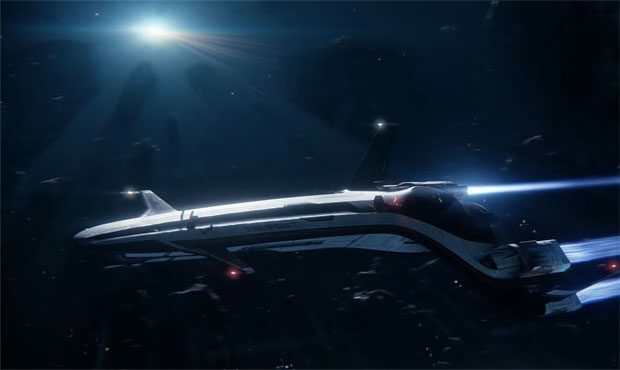 Instead, much like Star Trek, Andromeda will be about exploring the vast Andromeda galaxy, seeking out new life, exploring strange new worlds to uncover and colonize. Therefore, Andromeda is the video game version of Star Trek through and through, more Trekkie than even their own licensed adaptations. Since the game is set in the Andromeda galaxy, one can truly say that the crew of the Tempest have gone boldly where no man has gone before. Andromeda‘s planets are not limited to short, cover-based shooting galleries. Instead, they are huge, interactive environments, with their own dynamic ecosystems. 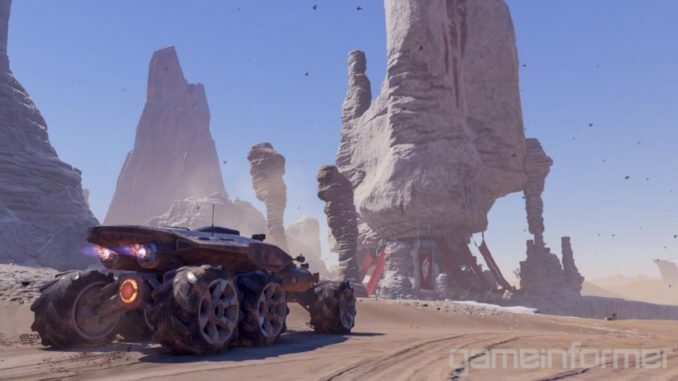 With that in mind, Ryder and their crew need a ride around the planets they will explore. Enter the Nomad ND1. An all-terrain land vehicle, it is the main source of transporation for the crew of the Tempest. Furthermore, Ryder can customize the Nomad, adding shields, thrusters, shield blast, radar, life support and paint jobs. Game producer Fabrice Condominas mentioned that they are taking note of what other games have been doing. 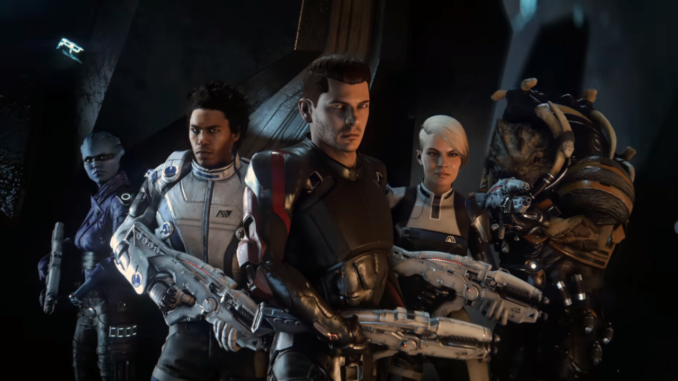 In an interview with PC gamer, Condominas has this to say: “”We are approaching the completionist aspect very differently, because we’ve done and learned a lot from Inquisition…but we’ve also observed what other games have been doing, like The Witcher.” This means that we can expect that BioWare will be doing deeper, more thoughtful sidequests in Mass Effect: Andromeda. The coup de grace of Andromeda–and to an extent, most of the Mass Effect series, is that they have excellent shooting mechanics. Andromeda doesn’t look like it’s going to stray from that formula. 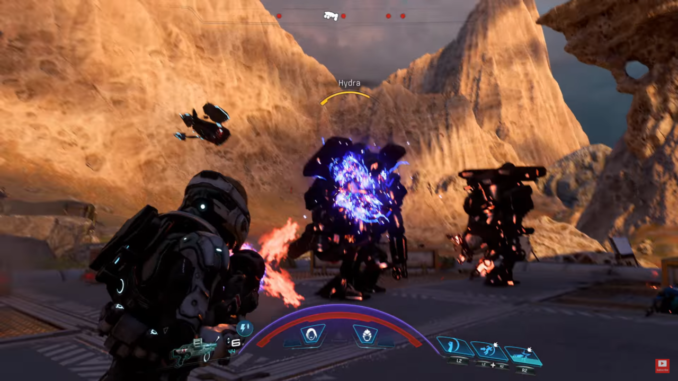 In fact, to improve on its predecessor’s combat system, Andromeda boasts a fast-paced battle system. Biotics and tech skills are now used in real time. Hold on to your butts! Strap yourselves in, boys! Get ready for an intergalactic Mass Effect like you’ve never seen before! Mass Effect: Andromeda arrives in stores on March 21, 2017. Preorder now!